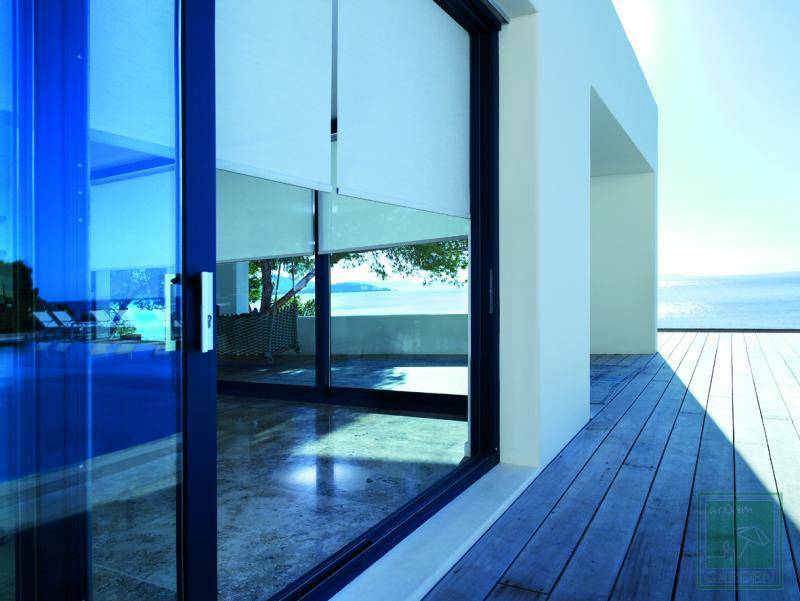 Arexim Garden produces reflection blinds - roller blinds with the special reflection Screen. This delicate screen fabric has an openness factor of 3%. Its 1 x 2 texture makes this flame-retardant material light, flexible and elegant. Due to the silver-colored backing, the fabric reflects sunlight and heat and excellent insulating properties. As such, Screen Reflection contributes to energy savings in home or office. The fabric is available in elegant colors. Screen Reflection is suitable for indoor applications and is manufactured according to all safety and environmental standards.